Search engines can’t understand everything that is made for humans. 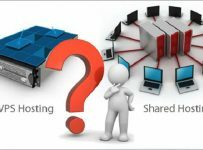 They are machines programmed to perform a set of actions and cannot identify different sections of a website typically. 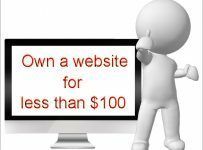 Suppose you have a shopping website, it might contain a lot of information on a product including its description, price, rating and customer reviews. A user visiting your website can distinguish between each of these bits and pieces but think from a search engine’s point of view: it reads and interprets all the HTML content the same way. If search engines could understand different information on your website as to what it pertains to, it can display it in a better way on its search results page. People are more likely to notice a search result with rich snippets rather than the one with a boring title and link. Schema.org is a must for certain types of websites as the need for quick information is higher for these sites. For instance, people who are looking for a product are more likely to visit a site with rich snippets rather than the one without much detail in the search results. Thus, if your website has schema.org markup implemented, the chances of your site being found for relevant information increases for sure. Schema.org provides sites with a universal markup or labeling method that all major search engines like Google, Bing and yahoo follow for their rich snippets. It is basically a language that search engines can read, understand and interpret. Google, Bing and yahoo use schema.org and that’s enough word on the authority of this awesome markup. When schema markups are used, search spiders understand your website well and hence are more likely to show your page on the SERPs for the relevant search queries. Without such kind of labeling, your entire HTML is same in the eye of a search engine – be it a recipe, short story or a client testimonial. In the absence of schema markup, search engine spiders use their own intellect to identify and sort out information which is not reliable most of the times. But when you give structured data to the search engines, you are making it easier for indexing and better understanding of your site. Moreover, people who are searching for the content on your site can identify it from the search results page itself which means that people who actually visit your site are more likely to convert. In other words, what schema markup does is it pushes you above your competitors by giving your site a unique look in the SERP. It also decreases your bounce rate since people get a better idea about your site before they visit it and hence are likely to stay longer. Google of late has come up with the In-depth articles feature wherein high quality articles that help readers to learn or explore on a particular topic will be displayed as a separate block in search results and will be labeled as in-depth articles. Though Google will use its own algo to decide upon the articles to include under this section, it has given enough hint as to what webmasters can do to optimize their sites in order to get their ‘high quality articles’ indexed as such. And not surprising enough, schema markup implementation finds the very first place in the list of things to do. How to implement Schema.org markup? The process of implementing schema.org markup would be different for different types of websites. To give you a basic idea of what the implementation would look like, let’s see how to implement it on your WordPress blog. Though there are few plugins like All In One Schema.org Rich Snippets that can take care of most types of content like review, recipe, event, video, product, people, etc., still to get a full hand on the markup, you will have to play with your theme’s code. If you are familiar with customizing WordPress themes, you may not find it difficult at all. 1. Take a backup of your theme just in case something goes wrong. 2. Move on to edit the theme file that defines a single post. In most of the themes, it is single.phpthat we need to edit. However, some themes may have separate files such as loop.php, content.php, etc. in which case you need to edit each one of them to make this work. Double check the code for any empty spaces or formatting errors and if everything looks fine, save the modified file and voila! Your wordpress blog is now implemented with schema.org markup. Once you’ve added schema.org markup to your site, it’s time to validate the markup. Head over to google structured data testing tool and enter your website URL, it will show you the preview of your blog in the SERP so that you can check if everything is configured correctly. 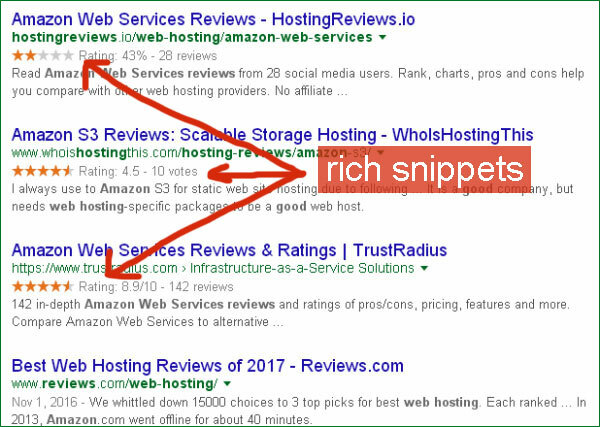 The only downside that some people claim about schema rich snippet markup is that it might lessen the chances of people actually clicking through your site since all of the important information would become available in the search results page itself. While this may sound true to an extent, a little tweaking can do the trick; one has to exercise care in choosing the type of content to be labeled with schema markup depending upon the niche of their website.